President, Dave Friedman was away on vacation and Marie Valencia (PP) presided over the meeting today. She welcomed everyone and acknowledged the presence of our guests, visiting Rotarians from Woodland Hills, Calabasas, and Bangladesh. None Rotarian guests were Shaun Carris and Tony Quiroga. She thanked everyone who attended the Rotary International Convention in Atlanta and was glad we all made it back home safe. She informed members that the Peace Conference this year was great and she said we all leant a lot from the conference. 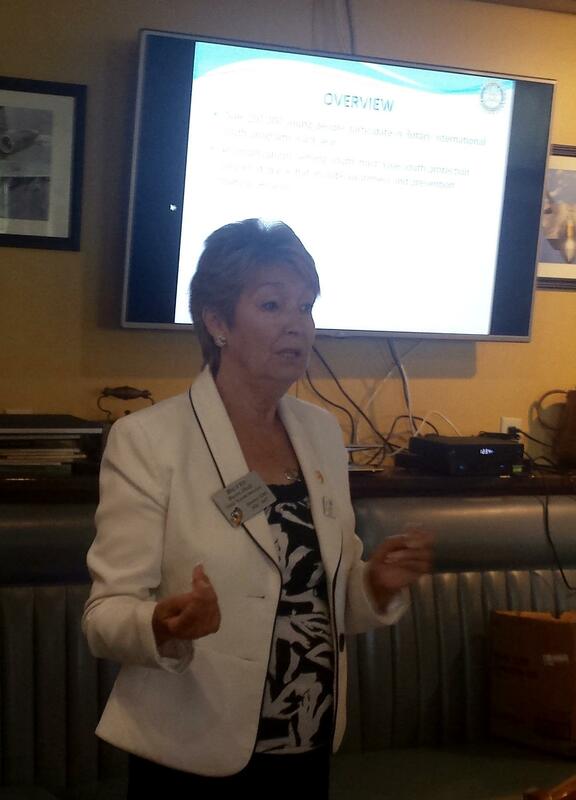 There were many breakout sessions, teaching and training people about Rotary and what Rotary is all about. “The House of Friendship” was a great place to meet Rotarians from all over the world. Meeting and discussing with people who share the same ideals of service was wonderful. We all had a great time in Atlanta. Marie Valencia announced that our forthcoming demotion party will be held on July 8, 2017 at Barbara Pampalone’s residence. Watch out for more information on this. Please save the date on your calendar. Overview: Over 250,000 young people participate in Rotary International youth program each year. All organization serving youth must have youth protection policies in place that include awareness and prevention training session. Rotary International undertakes the following programs every year: Youth exchange, Interact Club and Rotary Youth Leadership Assembly (RYLA). As a result of this Rotary International have a statement of conduct for working with youth. Rotary International is committed to creating and maintaining the safest possible environment for all participants in Rotary activities. It is the duty of all Rotarians, Rotarians spouses, partners, and other volunteers to safeguard to the best of their ability the welfare of and to prevent the physical, sexual, or emotional abuse of children and young people with whom they come in contact. (Bette Hall). For more on this, please email me and I will send you more information on this. Marie Valencia thanked Bette Hall for her wealth of knowledge and for the mini training she impacted to all present. Don Reinken presented Bette Hall with a book to sign, which will be donated. 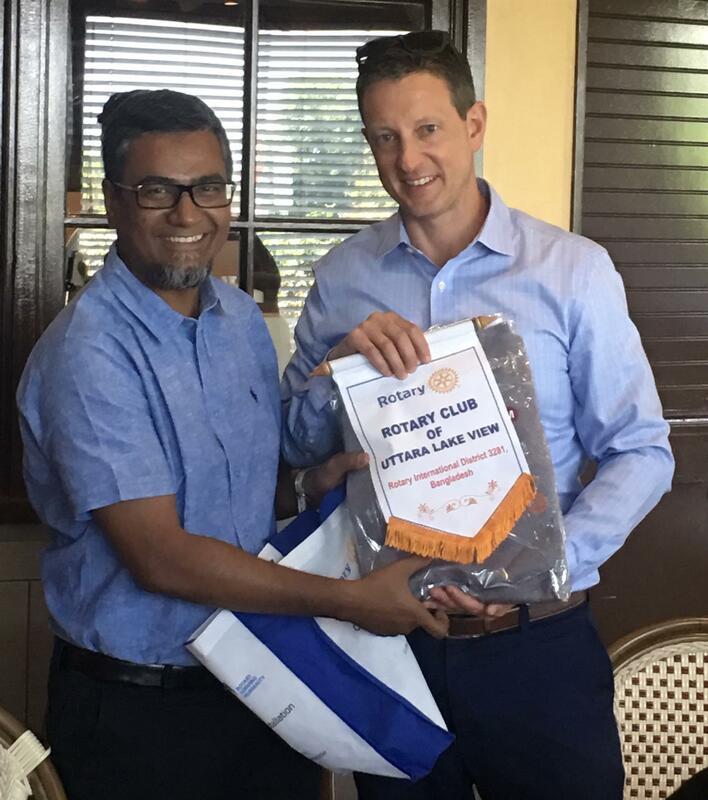 Mohammad Rafiqul Islam from Rotary club of Uttara Lake View, District 328i, (Bangladesh) presented our Incoming President Michael Parenteau with a gift of his club banner. Micheal Parenteau thanked him and told him whenever he is in LA again, he should please come and visit us. Catherine Ibrahim presented Mohammad with the GVNR Pin. Celebrations: Congratulations to all those who are celebrating children’s/grand children’s birthdays and school graduations.